As average spend with suppliers increases, procurement must be more active with the management of risk mitigation in the supply chain. Increasingly companies have a higher percentage of their cost base with suppliers, frequently as much as 50-70 per cent. Typically half of this is indirect spend on functions such as Marketing and Human Resources. It is clear that as the cost spend increases with these suppliers, procurement is playing a key role as a broker and helping to drive the revenue line. However, if the majority of cost base is outside of the company’s walls, this presents a major business risk. This is particularly alarming in industries such as financial services and pharma, where the regulatory and reputational landscape is complex. How can procurement help with risk mitigation, and also help senior executives have greater confidence that their supply chain is in order? According to Jon Kirby and Paul Birch, from Business Process Transformation consultancy Genpact, organisations must institute better and more sophisticated risk segmentation, dividing the procurement supplier base into distinct risk tiers. 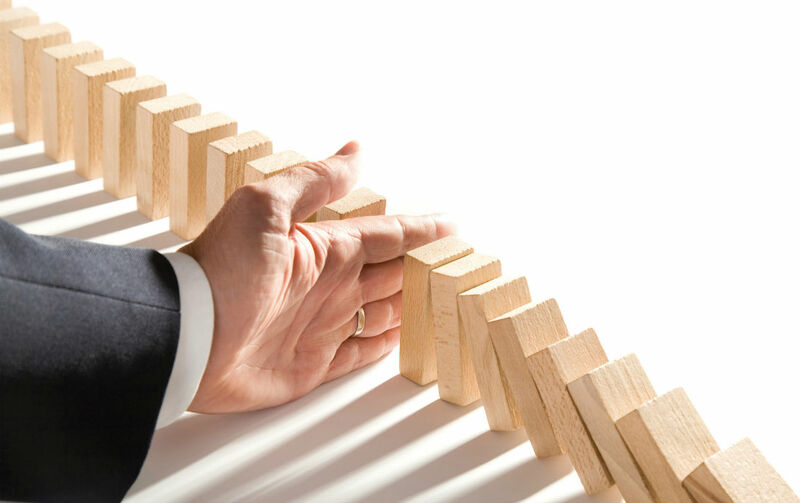 Are any of your suppliers at risk of bankruptcy? Are there any global or geopolitical issues in your supply chain that could disrupt it? Do you have systems and processes in place to regularly evaluate and monitor your most important suppliers? Have you embedded risk evaluation into the on-boarding of new suppliers? Creating stronger links between the lines of business and the procurement function can also ensure that the risk profile is in line with business priorities. There are a number of factors procurement professionals can keep an eye on when tasked with supplier risk mitigation. Sandeep Singh, Vice President – Procurement and Supply Chain Services at Genpact, shares his experience across these factors. What are the signs that procurement needs to watch out for when assessing suppliers’ bankruptcy risk? Assessing the financial health of a supplier should be a critical part of selection, as well as the ongoing relationship management process. Financial failures in today’s economy are not uncommon and can cause disruption to companies business. Financial information – including profitability or margins; revenue growth; liquidity; negative cash flow. Law suits such as where supplier is being sued for collection matters. Managerial and employee related events such as resignation of key members of management, or abnormal turnover of employees. Poor quality of product or services, or long term order delinquencies. Inability to produce timely and accurate financial information. Delay and penalties due to outstanding tax and statutory issues. Declining relationship with their bank or frequent change in their banks. Financial assessment needs to be a continuous process, and doing it only during selection process may not be sufficient. How priorities are given (i.e. which supplier to cover and which supplier to exclude). Large supplier base can run into the thousands. Multiple early warning signs and financial parameters. To overcome the above challenges, leading global companies are leveraging Lean Digital solutions, which combine digital technologies with design thinking. This results in procurement being able to segment their supplier base with minimal effort, and being able to prioritise multiple early warning signs and financial parameters. The adoption of the Lean Digital approach also provides companies with the ability to conduct ongoing financial risk assessments on their suppliers as opposed to doing it only during the selection process. So what else can procurement do to assist with risk mitigation in the supply chain? For this you’ll need to come back for the second article in this series. Genpact offers a number of procurement services that can be tailored to specific client needs, including end-to-end Source to Pay (S2P) services for both direct and indirect materials. Find out more by visiting their website.